RIO DE JANERO, August 7 (Itar-Tass) - Brazil poultry farms quite easily can meet the demand for chicken on the Russian market in connection with the Russian decision to halt agriculture imports from some countries, Brazilian Animal Protein Association President Francisco Turra said on Wednesday. The Brazilian capacities allow supplying additional 150,000 tonnes of chicken to Russia to fully make up for the U.S. quota. The 150,000 tonnes may be Brazilian, Turra said. Brazil supplied 60,000 tonnes of chicken to Russia last year, and the South American country have exported a total of more than 300,000 tonnes to Russia, the association president said. Recently, the Russian veterinary control service permitted 20 chicken suppliers in Brazil to enter the Russian market, he added. 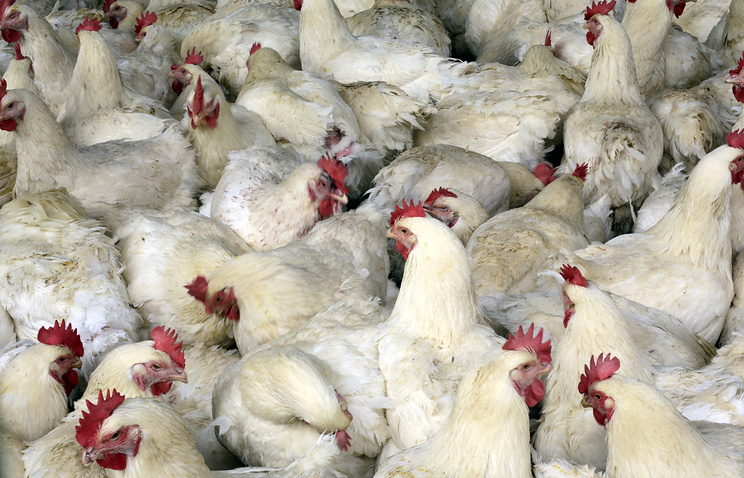 By increasing supplies to Russia, Brazil already this year may reach the level of four million tonnes, a record for it, the vice-president and the head of the poultry sector of the association, Ricardo Santin, said. 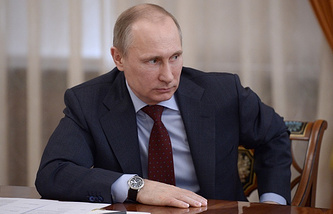 Russian President Vladimir Putin decreed on August 6 to ban or halt for a year agriculture imports from the countries that supported economic sanctions against Russia. Russia has escalated an economic battle set off by the crisis in Ukraine with a ban on all food imports from the United States and on fruit and vegetables from the European Union, dropping any pretence these might be for food safety reasons. The U.S. National Chicken Council and Poultry & Egg Export Council said it did not expect a great impact on the industry from the ban, while farmers said ordinary Russians could suffer. "This is clearly a political move. It is unfortunate that the biggest losers in this will be Russian consumers, who will pay more for their food now as well as in the long run," said Bob Stallman, president of the American Farm Bureau Federation. In the past, Russia has banned a variety of U.S. foods, citing health and safety concerns, but Wednesday's action makes its language on terms similar to that of the United States and European Union, which have imposed sanctions on Moscow. Last week, Russia banned the import of apples and some other fruit from Poland, saying this was because of sanitary concerns, but raising speculation that the move was in retaliation for Poland's support of the Ukrainian authorities. 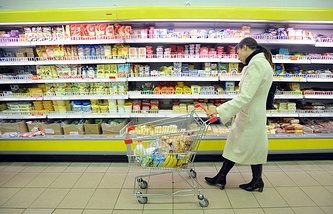 Russia has banned the import of European dairy products and mass-produced cheese, an informed source told Itar-Tass on Wednesday. The ban may affect imports from Germany, the Netherlands, France, and Scandinavian countries. “These are mainly the countries that initiated sanctions against Russia,” the source said. According to the Russian Federal Customs Service, the leading suppliers of whole milk and products from it to Russia in 2013 were Finland, Estonia, Poland, and Lithuania. The Eurasian Economic Commission said about 70% of cheese and farmer cheese was supplied to Russia in 2013 by the Netherlands, Ukraine, Germany, Finland, and Lithuania. Russia’s move to ban agricultural imports from countries that have imposed sanctions on Moscow may negatively affect agricultural development in Germany and other European states, German farmers' association DBV said on Wednesday. “An increase in supplies may step up pressure on the European Union’s internal market,” said Deputy Secretary-General of DBV Udo Hemmerling. “Russia is an important market for our major export products, first of all for meat and dairy products.